Cities of London and Westminster MP Mark Field has welcomed the arrival of the first Intercontinental hotel to open in London for 36 years. The Intercontinental London Westminster will open in the former Government building, Queen Anne’s Chambers, in November. The 256-room hotel, in the 19th century Queen Anne's Chambers, features a destination smokehouse restaurant and bar. Its Whitehall Suite event space can accommodate from 60 for a boardroom meeting, to 254 theatre-style and 300 for a reception. Mark Field MP said: "Westminster has been crying out for a destination to cater for the international businesses based in this historic part of London. The new hotel represents a major investment and will also be a significant boost for local employment. 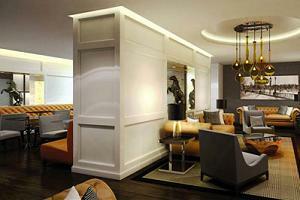 The Olympics showed London at its best and the new Intercontinental London Westminster builds on this success. I am sure the hotel will be looking after businesses and tourists from across the world for years to come." Intercontinental London Westminster general manager Andrew Coney added the hotel was at the heart of an area undergoing regeneration and would offer a "new destination to international business".